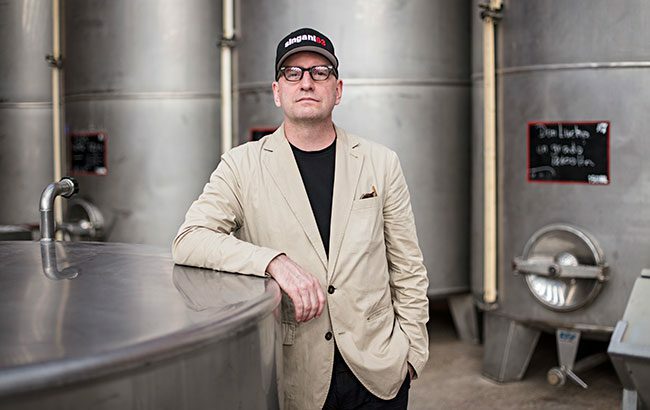 Acclaimed director Steven Soderbergh has stressed that he did not enter the spirits industry to get bought out, and instead wants his Singani 63 brand to become a “sustainable business”. Academy Award-winner Soderbergh launched Bolivian spirit Singani 63 in the US in 2014 after discovering the category while making the biographical film Che. Speaking to The Spirits Business last month, he said: “I didn’t get into this to get bought out. There’s no version of this brand in which I’m not running the company, creating the content and supervising all the details of how the brand is marketed and sold. Soderbergh’s daughter now works for the brand, which Soderbergh is aiming to bring to international audiences. “I’m as sceptical as anyone about the paid endorsement stuff, but I think people understand now that’s not what’s happening here,” he said. Singani is a Bolivian spirit made using Muscat of Alexandria grapes and is largely unknown outside of its domestic market. The Singani 63 brand is a single-estate iteration produced by the Casa Real distillery. “As difficult as it is to create this narrative from scratch for people, I’m happy at least that it is a new thing and not another version of a spirit that already exists in the minds of drinkers,” Soderbergh told SB. “And I’m not going head to head with companies that have massive resources and infrastructure that I could never compete with. To read Soderbergh’s full interview, see the November 2018 issue of The Spirits Business, out soon.